As Peter Krause emphasizes, national movements experience an inherent tension. Their strength lies in their constituent organizations, which can solve the collective action problem, mobilize and organize followers, and direct resources and energy effectively towards achieving the movement’s strategic objective. But their weakness lies in the very same organizations, each of which strives, first and foremost, to survive, grow and strengthen itself, often through strategies which are antithetical to cooperation across organizations and come at the expense of the movement’s overall goal. Krause advances our understanding of the fundamental organizational dilemma of movements, and provides what will become an influential account of inter-organizational dynamics: power distribution theory. The existing literature has focused largely on whether unity provides the best chance for movements to succeed. Some scholars find that it does, while others emphasize the potential advantages that internal divisions confer when dealing with an adversary. Krause points out that this dichotomy may only get us so far. Unity and division are the result of how groups within a movement interact, not necessarily clues to the foundations of those interactions. Instead, Krause reasons, the internal distribution of power constitutes a movement’s defining structure (74). It is therefore essential as a starting point for building a theory of inter-organizational dynamics and movement success. Krause theorizes movements’ internal dynamics and proposes that hegemony, the concentration of power by a single organization, is critical to success. Scholars of insurgency, civil wars, terrorism, and nationalism will be the first to encounter Krause’s research due to its focus on armed groups and national movements. But it should be of interest to anyone who studies contentious politics and social movements broadly construed, and, beyond these fields, to scholars whose research studies behavior in which the actions of multiple organizations that share a common goal are central, for example electoral campaigns of candidates who belong to a single political party, bureaucratic politics, international military coalitions, and cartels. Combining a sophisticated theoretical argument with detailed analysis of the evolution of the Palestinian and Algerian national movements, Krause makes two principal contributions in this article. First, he elucidates the nature of the organizational dilemma when it comes to armed groups within national movements, an analysis which the reader can likely extend with ease to armed groups in other contexts. Second, he provides a novel account of the relationship between movements’ internal dynamics – the underlying drivers of cooperation and coordination across groups – and their success at achieving strategic objectives. Power distribution theory employs concepts from international relations. Just as scholars explain features of the international system according to the number of great powers and the relationships between them, Krause understands national movements as systems. By counting the number of “significant” groups within them, and whether alliances are present between these groups, we can explain the main features of these movements. Based on the distribution of power, Krause distinguishes between three types of movements: hegemonic, united, and fragmented. In hegemonic movements, a sole significant group is the actor of interest. Movements with two or more significant groups can be characterized as united if these groups are allied or fragmented if no alliances join the significant groups together. For Krause, the consequences of movement structure stem from how it can solve or exacerbate the organizational dilemma mentioned above. Hegemony renders the single significant group’s pursuit of its organizational goals compatible with the efficient pursuit of the movement’s overriding strategic goal. The hegemonic group “can best promote its organizational strength and cement its position in the movement hierarchy through the pursuit of strategic objectives” (80, Figure 2). But unity or fragmentation see a movement’s strategic goal suffer at the expense of parochial organizational interests. All groups but the most powerful one focus on building their organizations’ strength and influence – frequently through behavior which undermines the ability of the movement to achieve its strategic goal – while the most powerful group, despite the desire to focus on the movement’s strategic goal, will find itself diverted, first by attempts to restrain the others, and then by the need to compete with them. Krause thus argues that hegemony is everything for a national movement. Power distribution theory predicts that fragmented movements are unlikely to be able to achieve any level of strategic success, and united movements likely at best to achieve limited success. Only a hegemonic movement structure, in which the organizational goals of the hegemonic group are compatible with the steps needed to achieve the movement’s strategic goals, are likely to achieve moderate to total success. These predictions come out of three channels through which movement structure influences strategic success: the relationship between group and movement incentives, the ability of groups to derive organizational gains from behaviors that are counterproductive for the movement, , and the capacity for coherence of strategy and credibility of threats and assurances (80, Figure 2). Krause investigates power distribution theory by analyzing the trajectories of the Palestinian and Algerian national movements. Within each movement, he identifies specific temporal “campaigns,” across which he compares the power distribution within the movement and significant groups’ use of violence. Krause intends the empirical sections as examinations of the theory’s mechanisms, so he looks to confirm whether changes in movement structure track with predicted changes in groups’ use of violence and “strategic outcomes” across campaigns. This empirical set-up allows Krause to observe useful variation within each national movement. Krause illustrates the complexity of each movement’s internal scene, with shifts from fragmentation to hegemony or unity, and back again. By highlighting the argument’s assumptions and logic, and providing enough historical detail to allow the reader to think through how to test its predictions and weigh alternative arguments, the article’s empirical sections provide an opportunity to evaluate power distribution theory and the extent of empirical support for its claims. Such an exercise highlights concerns about four aspects of this theory of armed group interactions and national movement success: its definitions of core concepts, justification of coding decisions, treatment of the origins of armed group power, and singular focus on movement structure. In a related article, Krause uses social movements literature to define a campaign broadly, as “a coordinated effort…aimed at achieving a common political goal.”  Since this definition might result in viewing the entire trajectory of a movement as a single campaign, Krause argues in favor of dividing campaigns into “micro-units” defined by “sustained breaks in the use of violence” or “shifts in geographic location [of violence].”  Here, though, it is not clear what criteria Krause applies to select campaign start and ends dates for the Palestinian and Algerian national movements. Ideally campaigns should be delimited according to an objective criterion like a unit of time, and then movement structure and strategic success measured for each time period. However, if campaigns are defined instead by changes in movement structure, strategic outcomes, or a combination of the two, the researcher could be pre-disposed to come up with a periodization that overplays the role of movement structure. The fluid definition makes the analysis less rigorous and harder for other scholars to replicate. Consider Krause’s selection of 1974 as one campaign for the Palestinian national movement. He codes the movement as having “limited success” during this period due to the Arab League’s recognition of the Palestinian Liberation Organization (PLO) as the “sole, legitimate representative of the Palestinian people” and the PLO’s attainment of observer status at the United Nations, and attributes success to unity among the movement’s significant groups. Yet if one were to pick a larger window of time than one year, the movement would have to be characterized as fragmented, and then “limited success” would appear to be correlated with fragmentation, not unity. Second, Krause’s analysis of the Palestinian national movement illustrates the need to present evidence that directly supports the coding of movement structure during each campaign. One of the campaigns that Krause identifies lasts from 1986 to 1996, during which time he characterizes the movement as hegemonic. The prevailing interpretations of the movement’s political fortunes and the situation inside the occupied territories during this period, however, emphasize the emergence of the Islamist faction Hamas as a powerful rival to the secular Fatah, the leading faction within the PLO, and the PLO in general. Fatah’s situation became particularly precarious in 1990 after Yasser Arafat, its leader and the chairman of the PLO, chose to support Iraqi President Saddam Hussein during the Gulf War. Arafat’s decision resulted in Gulf states pulling critical funding from the PLO (and Fatah), while they continued to provide financial support to Hamas. Since Krause’s coding of hegemony goes against standard accounts, his argument would be strengthened significantly by presenting the measures he used to assess the relative strength of Fatah and the other Palestinian armed groups during this period. While Krause discusses how to measure movement structure at the outset of the article and provides a clear threshold to distinguish between “significant” groups and all smaller actors within the movement (76), he does not employ these criteria in the empirical sections. Doing so for each Palestinian and Algerian campaign he discusses in the article would allow Krause to demonstrate to other scholars of armed movements the feasibility of using his typology of movement structure in their own empirical work. Such a practical exercise would also allow Krause to discuss how researchers might resolve conflicts that could emerge during coding, for example in the case of multiple, conflicting assessments of movement structure according to which of various measures of strength is used. Third, Krause treats armed group power as exogenously determined for non-significant groups but endogenously determined for significant groups, core assumptions whose logics may be contradictory. The difference in assumptions emerges in the theoretical discussion of “counterproductive dynamics” (82-4). Here, Krause argues that challengers in a non-hegemonic movement structure are likely to employ violent behaviors that strengthen their organizations but do not advance movement goals, including spoiling during peace negotiations, in attempts to rise to the top of the movement’s hierarchy. Foreign states will view each of these significant groups as “entry points” through which to influence developments within the movement (83). At the same time, he expects non-significant groups in a hegemonic movement to be less likely to engage in the same behaviors “because such actions are unlikely to bring about any significant shifts in the movement hierarchy, pull the hegemon into a conflict, prevent an agreement with the state, or pose a serious threat via direct infighting” (84). Foreign states should be unlikely to finance non-significant groups, realizing the difficulty of challenging the dominance of the hegemonic group. This points to the core role of the assumption that power is exogenous for non-significant groups in a hegemonic movement. Without this assumption, the ability of weaker significant groups in Krause’s account to challenge those higher up in the movement hierarchy in a non-hegemonic movement points to a process that could logically carry over to a hegemonic movement. The 1986-1996 and 1996-2000 campaigns in the Palestinian national movement illustrate how this assumption might be challenged. By the 1996-2000 campaign, Krause considers Hamas a significant group and important challenger to Fatah, but non-significant prior to 1996. Given its spoiling attacks aimed at undermining the Oslo accords from September 1993, Hamas’ trajectory suggests groups Krause codes as non-significant can indeed use violent behaviors to increase their power and become contenders, contrary to the theory’s conflicting assumptions about the nature of power within hegemonic versus non-hegemonic movements. Krause’s argument could therefore be strengthened if additional empirical material from his research on Palestine and Algeria were brought to bear to support the theory’s assumption that power operates differently according to the type of movement structure in place. Fourth, Krause’s argument focuses exclusively on movement structure, a strength in that this allows it to illuminate the internal dynamics of national movements. At the same time, it may also limit the argument’s ability speak to the question of movement success beyond its intervention into the unity versus fragmentation debate. The section on alternative explanations highlights this concern. One alternative account of success which goes beyond movement structure emphasizes the role of state strategies. Krause acknowledges that states frequently appear to look for moderate partners from within the national movement. 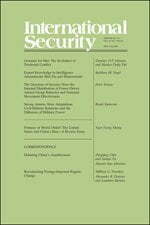 But he argues that this is likely linked to success only given a hegemonic movement structure, since otherwise states are “wary of providing concessions to a moderate group that may soon lose its place in the hierarchy, leaving an extremist leader to operate from a newly strengthened position” (112-3). The role of the state, however, may affect success through channels outside of those Krause’s theory structure suggests. Consider two examples drawn from the Palestinian and Algerian cases. Standard accounts of the peace process in Palestine imply that states may push negotiations forward when moderate groups within the national movement are weak. After the first Intifada, Israel was motivated to conclude the Oslo accords with the PLO in part because it feared that the rise of Hamas might soon leave it without any negotiating partner on the Palestinian side. The costs to the state of occupying territory might also drive concessions. In this vein, FLN violence played an important role in the Algerian national movement’s success by increasing the resources that the French had to expend to continue to control Algeria. These came in the form of the material resources needed to continue to occupy Algeria and to keep the FLN on the defensive. But the French government also had to wrestle with the growing political price of occupation, as the longer the war continued, the more the FLN secured international support, whether at the United Nations or from the United States and the Soviet Union alike. The problem for Krause is not that power distribution theory performs poorly against the alternatives, but simply that due to the article’s focus on the internal dynamics of movements, it does not adjudicate between movement structure and alternative accounts of national movement success based on factors external to the movement itself. Results often pile up piecemeal in the increasingly crowded field of research on armed groups in conflict. But there can be a productive dialogue between Krause’s work and other contributions to this literature by pairing and contrasting it with other research according to the level of analysis. For example, Fotini Christia’s account of the role that the distribution of power plays in processes of alliance formation in multi-party civil wars looks at the effects of the distribution of power across the full spectrum of the warring parties. Krause’s analysis might be deepened by considering the effects of the distribution of power across state forces and the national movement. Christia’s research on alliance switching might also be furthered by considering an additional consequence of the power distribution within each side of a war highlighted by Krause – circumstances under which groups might remain on a side but engage in behavior which harms that side’s prospects for strategic success. To take a second example, another strand of inquiry analyses the consequences of different organizational forms for armed group behavior. Abdulkader Sinno has examined whether armed groups’ organizational structures are suited to the presence or absence of safe havens and how this “fit” affects their longevity and ability to attain victory. Paul Staniland has investigated the origins of cohesion within armed groups in addition to their prospects for survival. Such accounts could be nested within one paying attention to the distribution of power across groups, either within a side as in Krause, or across the entire war, as in Christia. Krause’s attention to the impact of movement structure could be modified to identify the conditions under which an armed group’s organizational type – as classified by Sinno or Staniland – would have countervailing or reinforcing effects. Both Sinno’s and Staniland’s analysis could also be expanded to consider whether the distribution of power across armed groups could prompt convergence of behavior across types of organizations or further exacerbate their diverging trajectories. Judging by Krause’s research on the formative impact of national movement structure on strategic success, particularly its account of the internal dynamics of national movements, future research will advance our understanding of armed conflict the more it incorporates multiple levels of analysis or can at least speak directly to other scholars’ research at levels of analysis different from its own. Jonah Schulhofer-Wohl is Assistant Professor of Politics at the University of Virginia. He is a specialist on civil wars and Middle Eastern politics. The Avalon Project, Yale Law School, “First Inaugural Address of Franklin D. Roosevelt,” March 4, 1933, available at http://avalon.law.yale.edu/20th_century/froos1.asp. Nelson Mandela, “Unite! Mobilise! Fight On! Between the Anvil of United Mass Action and the Hammer of the Armed Struggle We Shall Crush Apartheid!” in The Struggle Is My Life (London: Pathfinder Press, 1990), p.283. Mandela wrote the essay in 1976 following the Soweto uprising, while imprisoned on Robben Island. Whether in the context of different races across Congressional districts in the U.S., or, in an open list proportional representation system, within a single district. Peter Krause, “The Political Effectiveness of Non-State Violence: A Two-Level Framework to Transform a Deceptive Debate,” Security Studies 22(2), 259-294, 2013, p.279, fn 55. William B. Quandt, Peace Process: American Diplomacy and the Arab-Israeli Conflict since 1967, 3rd edition, (Berkeley: University of California Press, 2005), p.159. See Helena Cobban, “The PLO and the ‘Intifada,’” Middle East Journal 44(2), 207-233, 1990; Glenn E. Robinson, Building a Palestinian State: The Incomplete Revolution (Bloomington: University of Indiana Press, 1997); Glenn E. Robinson, “Hamas as a Social Movement,” in Quintan Wiktorowicz, ed., Islamic Activism: A Social Movement Theory Approach (Bloomington: University of Indiana Press, 2004), pp.112-39; Amal Jamal, The Palestinian National Movement: Politics of Contention, 1967-2005 (Bloomington: University of Indiana Press, 2005); Yezid Sayigh, Armed Struggle and the Search for State: The Palestinian National Movement, 1949–1993 (Oxford: Oxford University Press, 1997); Quandt, Peace Process. On the latter, see Matthew Connelly, A Diplomatic Revolution: Algeria’s Fight for Independence and the Origins of the Post-Cold War Era, (Oxford: Oxford University Press, 2002). Fotini Christa, Alliance Formation in Civil Wars (Cambridge: Cambridge University Press, 2012). Abdelkader H. Sinno, Organizations at War in Afghanistan and Beyond (Ithaca: Cornell University Press, 2008). Paul Staniland, Networks of Rebellion: Explaining Insurgent Cohesion and Collapse (Ithaca: Cornell University Press, 2014). Other examples include Patrick Johnston, “The Geography of Insurgent Organization and its Consequences for Civil Wars: Evidence from Liberia and Sierra Leone,” Security Studies 17(1), 107-137, 2008; Francisco Gutiérrez Sanin and Antonio Giustozzi, “Networks and Armies: Structuring Rebellion in Colombia and Afghanistan,” Studies in Conflict and Terrorism 33(9), 836-53, 2010; and Paul Kenny, “Structural Integrity and Cohesion in Insurgent Organizations: Evidence from Protracted Conflicts in Ireland and Burma,” International Studies Review 12(4), 533-55, 2010.